My father was not particularly fond of sport; far from it in fact. 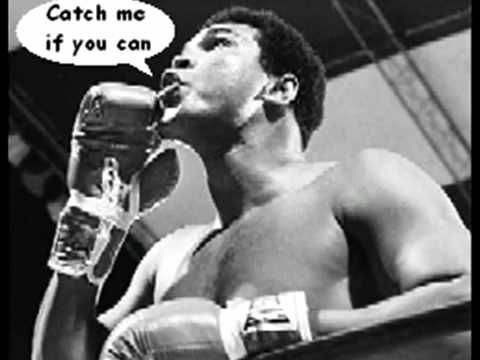 But one sportsman whose career he avidly followed was that of Muhammad Ali. It could not have been from actually watching footage of the footwork of the balletic boxer (unless he had watched some fights on German television in the 1960s before we relocated to Goa). By the time we had television here in Goa in 1982, Ali was two years away from being diagnosed with Parkinson’s syndrome. And my father really never took a shine to television. So his fascination with Ali must have stemmed from coverage in the national press, Time magazine and the radio. He would follow the fights (I clearly remember the fights versus Joe Frazier and Leon Spinks) on the radio as if his own life depended on the outcome. And my own fascination with this giant Ali began too, listening to the news bulletins and reading about his trademark bravado and taunts. What really ingrained the “Float like a butterfly, sting like a bee” catchphrase in our young minds was the song “Black Superman” by Derrick Morgan. I am not sure how the 45 rpm record came into the house or even what was on Side B, but the song became a fast favourite. It was the first song I had heard of that was about a sportsman, and a living legend at that. A friend of ours had just got a proper drum set, which found residence in our house as well. He got a huge picture of an eagle painted on the bass drum, so of course we were The Eagles. That a bunch of guys halfway across the globe also went by that name did not matter one jot to us in Post Office Square. A motley group of six or seven of us would take turns playing drums, violin, bulbul tarang (the Indian “banjo”) and tambourine, belting out the hit songs of the time with gusto. Muhammad Ali gradually disappeared from the sports news headlines in the 1980s, especially after his illness with Parkinson’s syndrome. It was only later that I read about his historic stance on the Vietnam War, and his refusal to be drafted into the US armed forces in 1966, even though his career suffered immensely on account of it. This was no publicity stunt. He had done an extended study of religions before being convinced that Islam was the best way to bring about lasting peace, the “truth and the light”. And contrary to the current hysteria about Islam in the press worldwide, it was the tenets of this same religion that prevented him from going to war in 1966. With the spectre of Donald Trump looming large over the US, and Islamophobia and fascism being peddled by an increasingly right-leaning world leadership, Ali’s words are more relevant than ever. 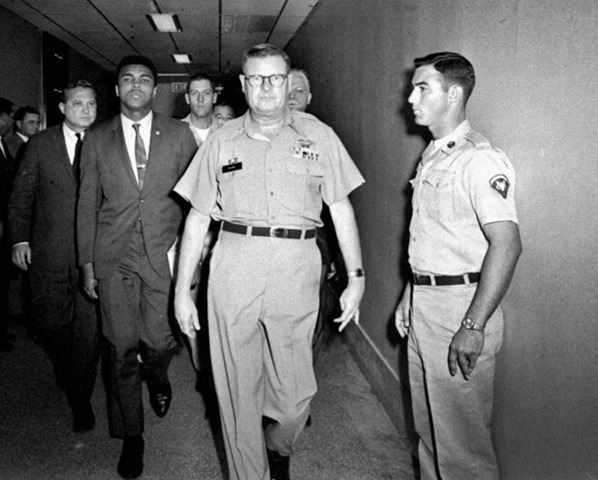 Ali’s anti-war stance flew in the face of the notion of what one was supposed to do for one’s country. It took courage to follow the direction of his own moral, ethical compass even if it seemed “unpatriotic”, “anti-national” to do so. One might ask the same question of oppressed peoples in other countries. Why should they don a uniform and shed their blood in the service of a nation that did not treat them with dignity and equality in their own land? For throwing these questions into public debate, quite apart from his remarkable achievements in the boxing ring, Muhammad Ali deserves to be called “The Greatest”.